Our first real-life band is about to play in Yulgar's Inn. Come meet them on AdventureCouch! Is it just me, or does the lead singer, Amanda, look a lot like Gravelyn in the cover pic? "Going to be the best summer ever!" 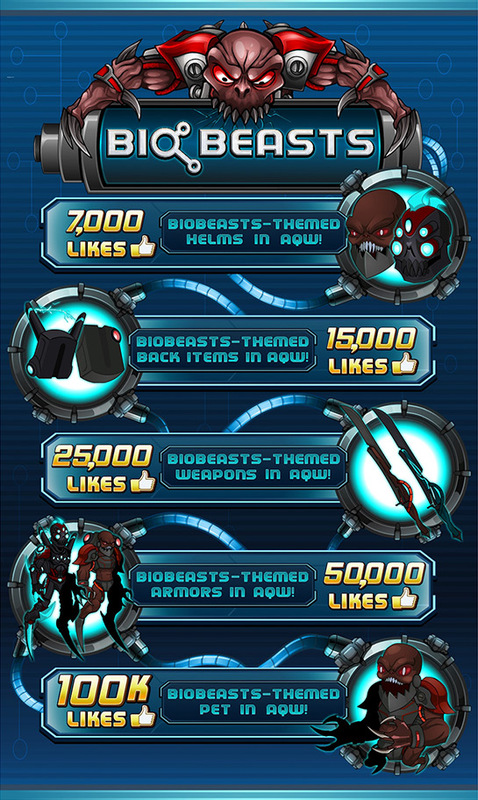 In addition to the killer game releases in our existing web games (including Artix, Beleen & Cysero returning to AQWorlds for a series of special summer releases) our explsion of mobile game projects are coming for your phones and tablets! It has been 20 minutes since I started writing this sentence. O_O. I keep rewriting it over and over. There is so much to tell you that I have no idea where to start. Probably a key important thing... I am happy. Extremely happy to be building video games again. The team is too. You would not think that the solution from being "burned out working on video games" is to simply make more video games... but it is. Creating fun new things is inspiring and motivating. Even if the new things you are creating are building on the skills and concepts you created before. That is why everyone in the studio has elected to take on a "side project" in addition to their normal duties. For example J6, Diozz, and Kraken are working on Undead Assault. It is a smaller scope project. A completely re-envisioning of the original Undead Assault which was our very first mini-game. As usual, the guys went way above and beyond. J6 started with the base models from AQWorlds, drew in all of the back arms and legs, complete recolored all of the undead creatures, and then drew an amazing parallaxing graveyard background. 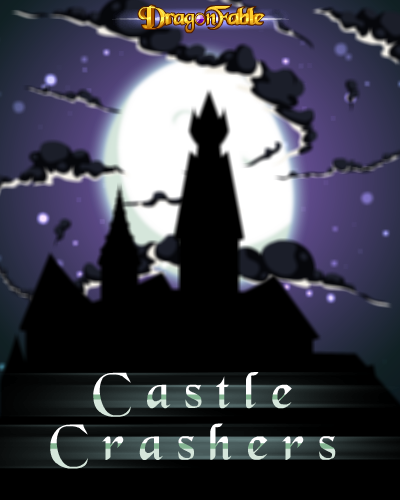 It is going to be fast, full of bone crunching physics and explosions... because... NEED EXPLOSIONS. It will probably be the first game released in our fenzy. As I write this, we are putting the finishing touches on the AdventureQuest II: Guardian teaser trailer. We hope you laugh when you watch it. (Because it is funny... not for other reasons.) We have renamed this game project a few times now. 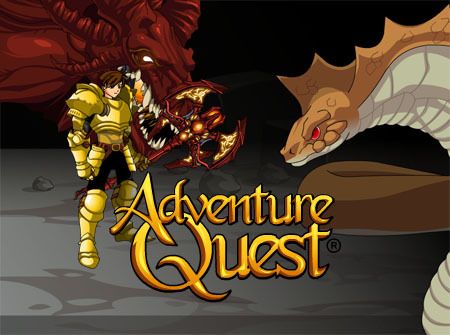 Mostly due to the confusion with the original AdventureQuest & AdventureQuest Worlds. So WHAT IS THIS GAME!? Oh! Well, you know how there is no REAL 2D AdventureQuest game for mobile? This is it. YES! Insert "Battle Button" here. Featuring brand new crazy monsters, weapons, combat, classes, and characters. The plot of this game heavily focuses on what a Guardian is... that being said, spoiler: As the game opens, the Guardians have all gone mysteriously missing years ago. No one knows what happened to them, or has any clue why. But the Guardian towers are magically sealed shut and villains and monster armys were quick to wreak havok and terror across the land. The land is in need of someone brave enough to pick up a sword or spellbook to save it... and possibly be worthy enough to open the doors to the Guardian tower and undertake the trials. Releasing a 2D monster battling game and a matching full 3D MMORPG is not only the most ambitious thing we have ever done... it is blatantly the craziest. You already know why. After what happened to the original AdventureQuest 3D project, the team was heart broken. A year and a half of our dedicated work and passion tossed in the trash. So what do you do in the most crushing defeat of your life? What happens when you fall? You get back up. You do never give up. AdventureQuest 3D is more than just a game project to all of us who were there for the first one. It is something we MUST accomplish to make ourselves whole again. Zhoom rewrote the game server, Xero recreated the assets to run on mobile, Llusion mastered creating maps that were fast and looked good on mobile too. Every week for the past several months testers have watched in surprise as the game continued to leap forward with new features, areas and monsters. Next up, Zhoom is coding classes and skills. Then he will move on to interactive objects. At this point AdventureQuest 3D will move to "Alpha." To everyone testing on the web version, you can sorta tell that Google & Apple seem pretty determined to kill web based gaming. Which makes sense, they want you using their apps and proprietary system so they control how you pay. Recently Chrome dropped NPAPI plugins including Unity & Java... yup, they no longer usable at all with Chrome. Meanwhile HTML5 and WebGL have not proven to be very great... at least not yet. Our tech demo runs fine on Firefox & IE but where it really shines is on mobile devices. Now, please note the app will not be available until late summer. Right now only devs have it on their phone for testing. If you see me in AdventureQuest 3D, I am most likely playing on my phone. It runs faster and smoother on my phone than it does on my PC's web browser. We keep making improvements so chatting is easier on the phone too. In an upcoming post I would like to talk to you about why many previous mobile MMOs seemed to have failed and why AdventureQuest 3D is going to be clever and different. We as gamers have changed... when we play, how we play, what we expect to do and how we expect to be challenged has changed. In a lot of ways I am glad the original incarnation of this project did not happen... we would not have learned everything we learned and we would not be thinking like we are now. Sometimes, bad things happen for good reasons.